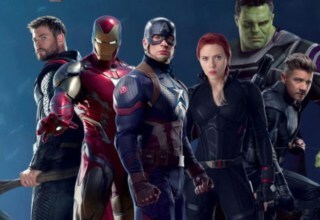 We here at ComicsVerse have seen the new SPIDER-MAN: FAR FROM HOME trailer and many of us, like many of you, cannot help how excited we feel. 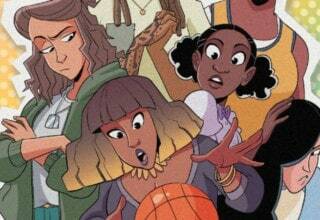 We don’t want to overstate things, but it looks likely that the movie will, in fact, slap. It will be straight fire, if you get our drift. And one of our favorite parts? 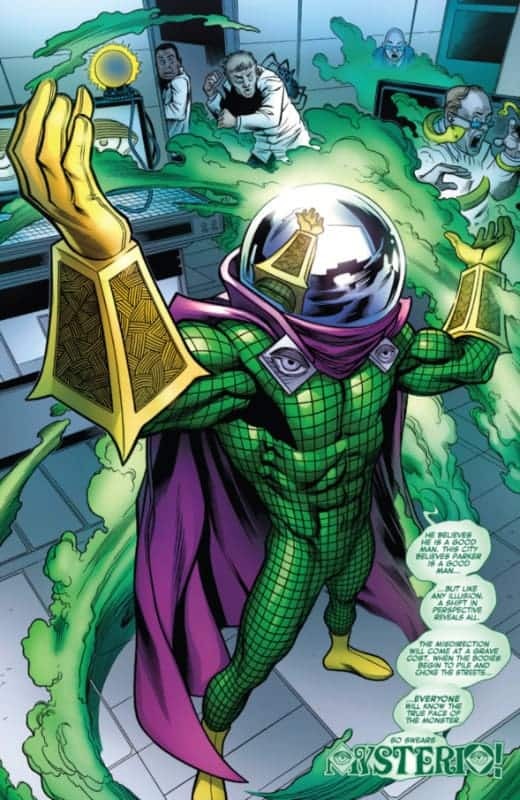 Jake Gyllenhaal’s Mysterio. Now, the trailer looks like Mr. Fishbowl Head might be a hero, but we feel strongly that, in practice, we are due for a swerve or two. In other words, don’t count on Mysterio staying on the side of angels. 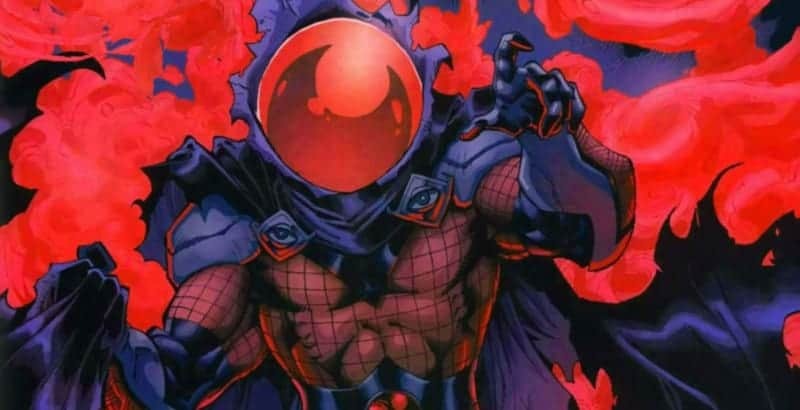 With that in mind, here are seven reasons Mysterio is a great villain. Quentin Beck did not always seem destined to commit crimes with a fishbowl on his head — more on that look later. No, he had other less illegal dreams in mind. Specifically dreams of Hollywood riches. Like so many that go West in search of gold, however, Beck quickly discovered that all that glitters does not line one’s pockets. While he enjoyed the work of being a stunt coordinator and special effects man, he quickly began to see the career as one that would not deliver him to the echelon he desired. Still, he felt committed to make it work in the City of Angels so he transitioned to acting instead. 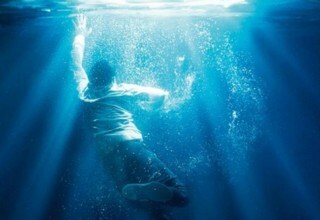 Alas, as an actor, Beck proved a really good special effects man. Bad reviews and wooden performances quickly sunk his chances at fame in front of the camera. Now, Hollywood still presented a number of opportunities to make money — director, screenwriter, producer, studio executive. Beck, though, was done. No more dreams. Only getting that cheddar mattered now. He reasoned that his skills in special effects would make him an excellent criminal, able to use his talents to shock, distract, and overwhelm police and witnesses alike and leave him laughing all the way to the bank. A not entirely unsound plan until, it seems, one runs into Spider-Man. After their first encounter, Mysterio decided to take the fight right to Spider-Man. However, he had no interest in trying to out-muscle the hero. One fight in and Beck already knew how hard Spidey could punch. Instead, he decided the hero’s mind would be the most vulnerable place to strike. He set himself up as Dr. Ludwig Rinehart, an apparently world-renowned and respected Freudian psychiatrist. 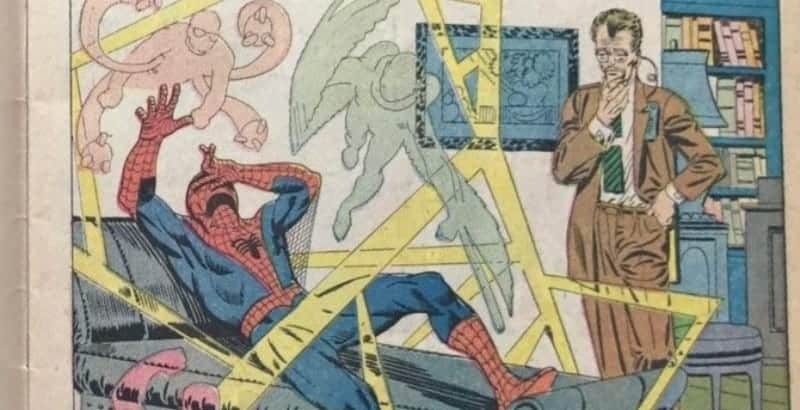 Once the Wall-Crawler took the bait, Mysterio attempted to drive the hero mad and get him to reveal his true identity through a combination of free association, hypnosis, and gas-induced hallucinations. In the end, the effort failed, but it still stands as one of the more ingenuous and nearly successful villainous plans in AMAZING SPIDER-MAN during the Silver Age. 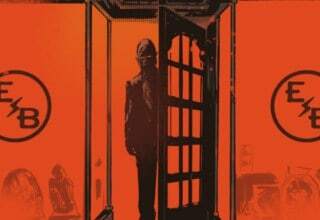 As a special effects man, Beck has an encyclopedic knowledge of how to trick the eye and confuse the senses with lights, mirrors, fog, and more. Additionally, the special effects game helped in to cultivate an interest in robotics that he has continued to improve for the sake of his dastardly deeds. As noted above, he is also quite a talent at hypnotizing others with or without his gear. When in costume he utilizes a modulator that makes his very voice a weapon as well, capable of messing up a person’s equilibrium and more. Chemistry, too, has proven an interest of Beck’s over the years. He predominantly uses it to develop a range of gases that can do anything from literally paralyze a person to inducing terrifying visual hallucinations. Finally, his years of stunt work have also made him an impressive fighter in his own right. 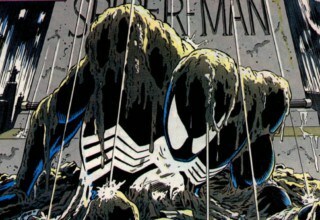 He may not be super-powered but he can still hold his own well with any civilian and has, at times, managed to go toe-to-toe, at least briefly, with superheroes like Spider-Man and Daredevil. As noted above, the guy wants money. He has put all this effort, and presumably, capital into this life because he wanted to be a bit richer. It is just such a delightfully simplistic reason to become a supervillain, especially when you already had a steady job you did well with and no surprise expenses like illness or gambling debts. Along the way, as well, Mysterio has become increasingly concerned with his Hollywood legacy. Every now and then, he finds out a new special effects up and comer has been labeled a genius or has garnered great praise for developing a new technique. Beck’s ego cannot stomach the idea that the field is moving on without him. Moreover, he hates that it is doing so without holding him up as an all-time great. The money thing is petty. The praise thing? Petty squared! He wears a headpiece that, while not a fishbowl, can really only be described as a fishbowl. 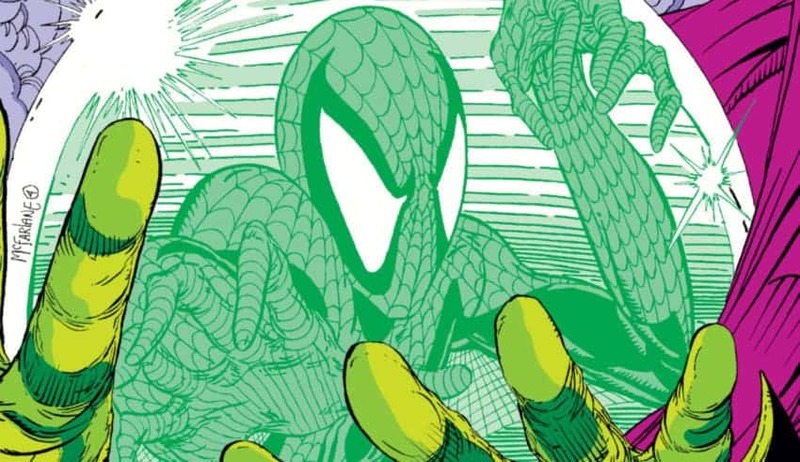 The costume drapes his body in those classic colors of villainy, green, purple, and gold. He has two non-functional giant eyes appended to his chest. They hold in place a large flowing purple cape. You would think a special effects man like Beck would be all function over form, but no. The man just loves the drama, top to bottom, and he will not be upstaged when he walks out on the stage that is committing massive criminal acts. To give credit where credit is due, though, you can’t argue that the suit is not effective. His gauntlets spew gas and sometimes shoot bolts of energy. Those eyes can’t see but they have been known to electrify on occasion. The fishbowl protects Beck from his own gases and effects and also conceals his face, rendering him unreadable. Hell, even the cape can be used to distract and disorient. The costume may be bonkers, but it does the work. Mysterio died. Completed suicide, more accurately, after one last-ditch effort at becoming an all-timer villain by destroying Daredevil’s world. Already sick with a chronic condition, he figured at least he could go out on top. However, he evidently ended up in some realm of Hell. For obvious reason, Beck did not love this arrangement. 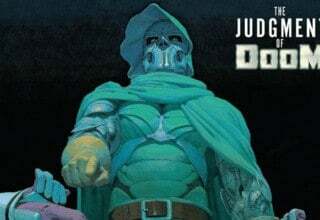 Thus, somehow, he struck a deal with some Hellish creature who literally escorted Mysterio out of the fiery furnace, hooked him up with a color swapped version of his classic look, and sent him to where Peter Parker had a job as a high school teacher to “raise Hell” (haHAAAAAA) and connect with Miss Arrow, apparently another ally of Mysterio’s new benefactor. 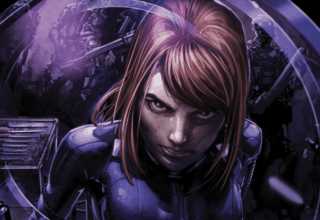 What makes it really impressive is that after that first mission, Beck more or less ditched the deal and has kept on living without any kind of devilish consequences. To summarize, he walked out of Hell, got a new costume for free, did something he likes to do anyway in harassing Spider-Man, and then just skipped out on a demon, all without being punished in the least. One of the best things about Mysterio is his running crew. 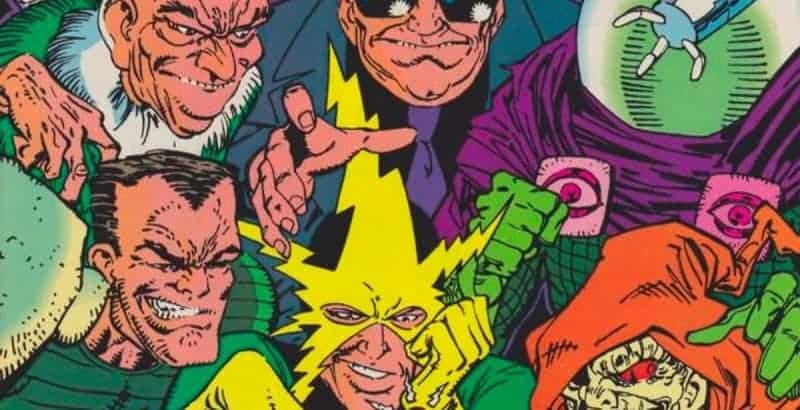 He’s awesome on his own, but then sometimes he hooks up with the Sinister Six. That’s when things get really incredible. 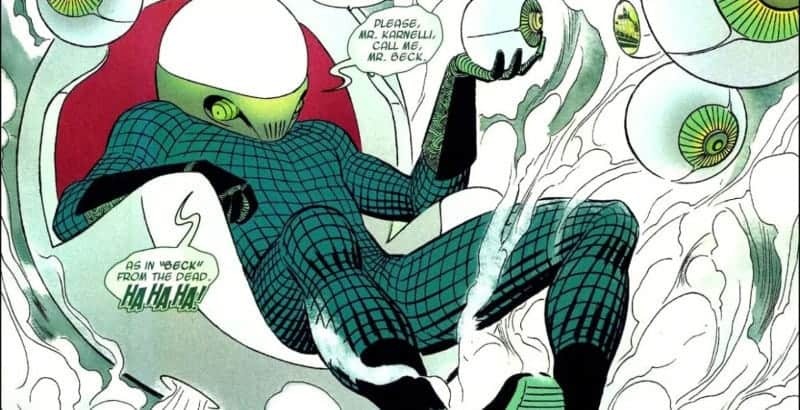 Whether it is helping Doctor Octopus try to addict the entire planet to cocaine or, years later, aiding a dying Doc Ock in his attempt to rule the planet, Mysterio knows a good time when he sees it. Sure, they are almost never successful, but Beck does not seem to mind. It’s like a high school reunion. No one ends up impressing anyone else as much as they would like, but boy oh boy, do you have a good time while trying. 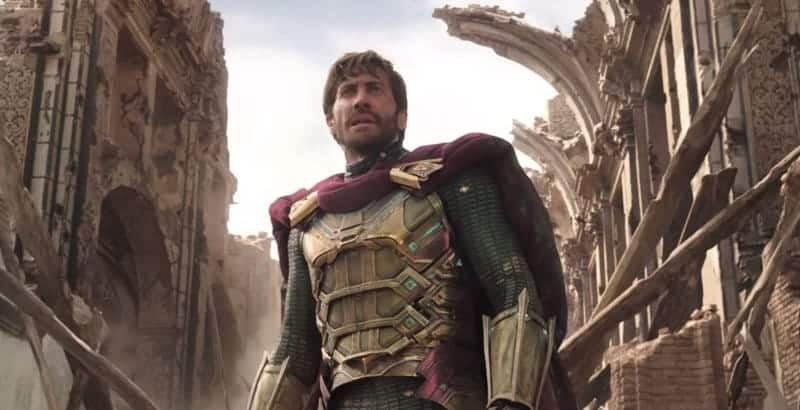 How are you feeling about Mysterio in the FAR FROM HOME trailer? 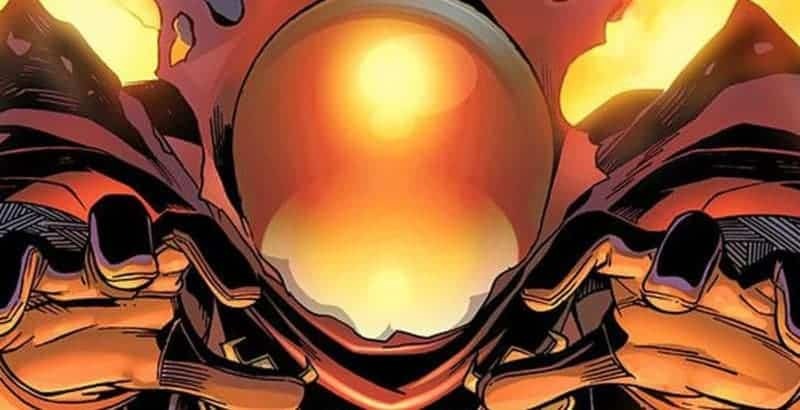 How do you feel about Mysterio in general? 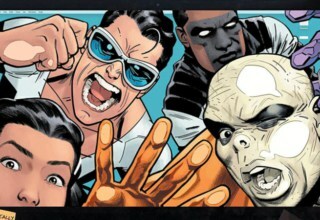 Let us know on Twitter @ComicsVerse, in the comments right, or on our Facebook page! 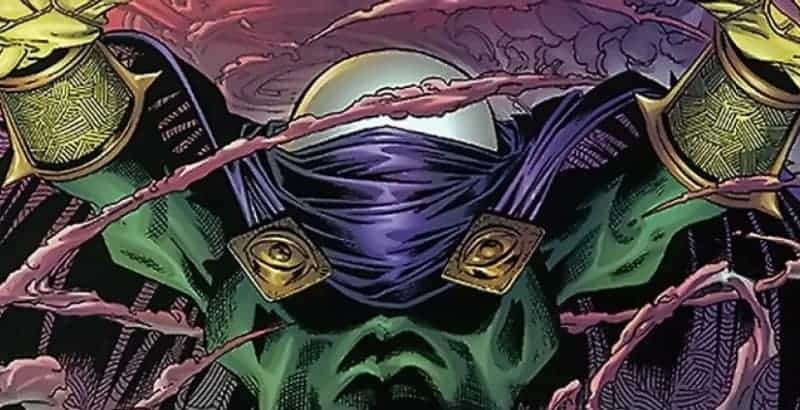 And if we missed any reasons why Mysterio is awesome, please let us know those too!